For my VTO Opportunity, I chose to help out Random Acts of Flowers. They are a non-profit organization with one location in Dunedin, FL, as well as others throughout the country. I figured since it was holiday time that they would need some extra help, and they sure did! I spent the entire morning arranging flowers in various vases with different embellishments. I was surrounded by several other volunteers who were all very warm and welcoming. I worked jointly with two arrangers who walked me through the process: select your vases, then your flowers, and get creative in arranging. 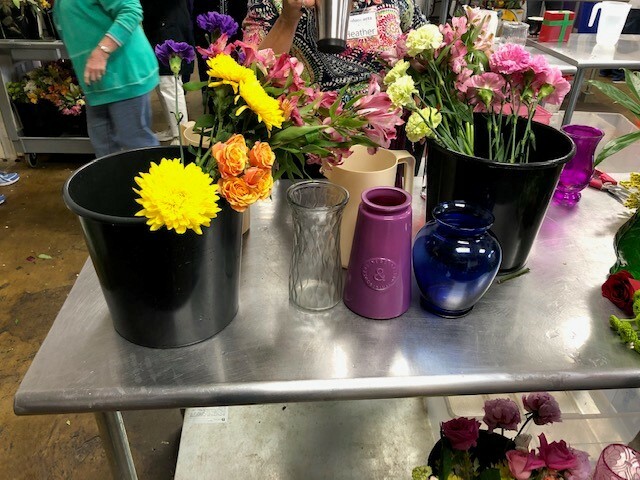 While chatting with other volunteers, they informed me that they usually put together at least 30 arrangements every Tuesday and Thursday! From what the supervisors told me, there were at least 145 arrangements that were made there that morning! Random Acts of Flowers delivers all over the Tampa Bay area to various hospice care facilities, assisted living facilities, and hospitals. 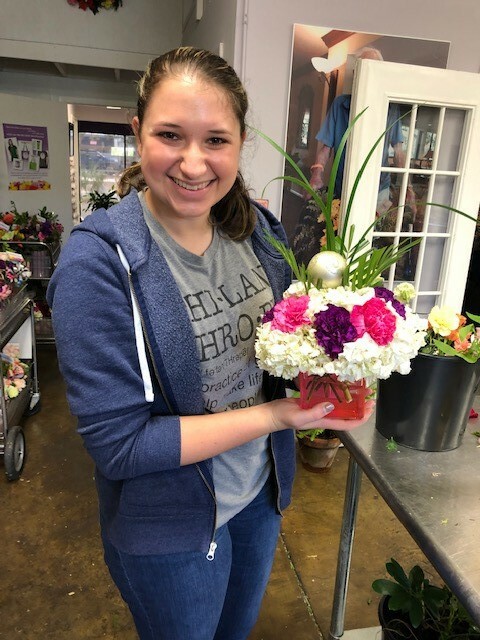 Once we completed the arrangements, we delivered them to Largo Medical Center. After we arrived at Largo Medical Center, we selected patient floors and began delivering the arrangements. 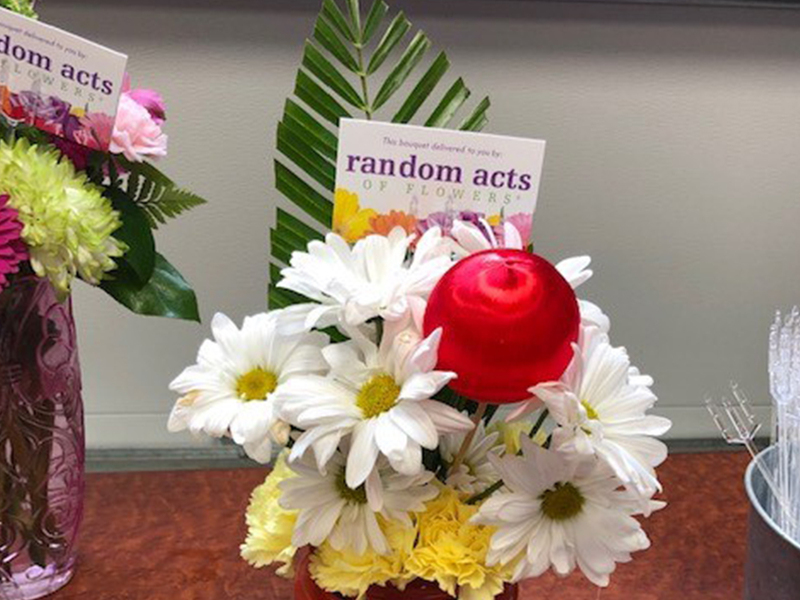 We went into each patient’s room to drop the flowers off, say “hi” and share a little bit of information about Random Acts of Flowers. The most rewarding part was to see the smile on the patients’ faces as they received their arrangements and a short visit from us. After leaving each room I felt as if there was more positive energy present. I truly felt that I had brought some joy and happiness to these patients with the flowers. I had such a wonderful and heartwarming experience with Random Acts of Flowers and I would do it again in a heartbeat! They are an extraordinary organization doing amazing things, one arrangement at a time.